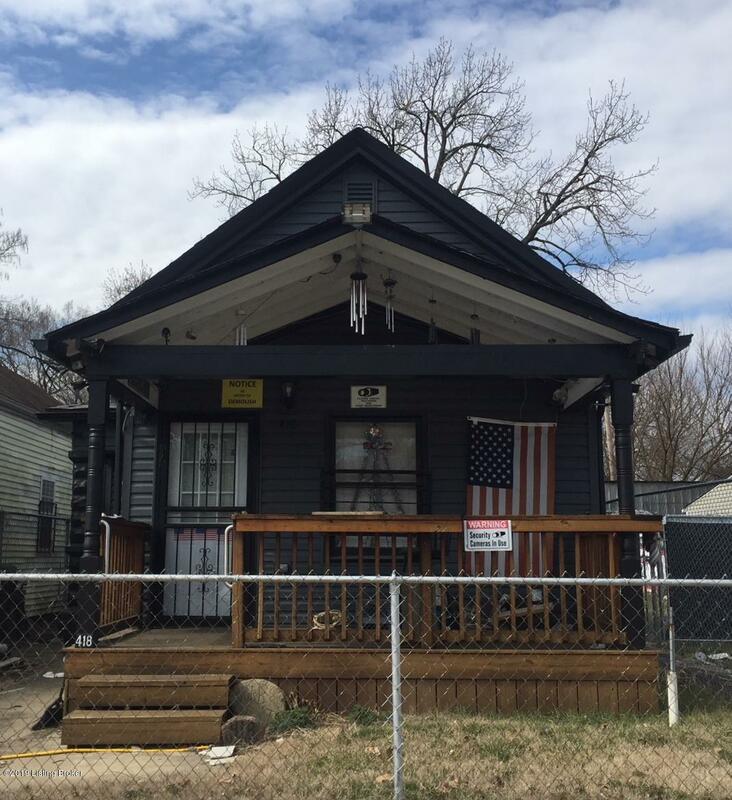 Priced over $6,000 below the tax assessed value, this purchase makes for a great investment opportunity and comes with the vacant lot next door! This home offers a living room, large laundry room, eat-in-kitchen, 2 bedrooms and 1 full bath. Bedroom needs drywall and flooring. Nice covered front porch and large backyard. Property sold AS IS with absolutely no warranties expressed written or implied. Buyer to verify any and all information or lack of information including but not limited to square footage, lot size, utilities, foundations, environmental concerns, zoning and intended uses, etc.